Henrik Fisker eMotion: The gamechanger EV...! Henrik Fisker is a Danish automotive designer and entrepreneur who founded Fisker Inc. The company recently unveiled an all-new fully electric luxurious sedan. 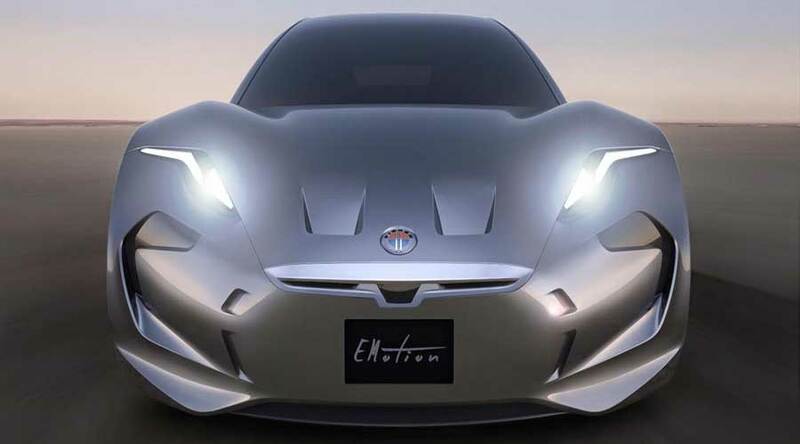 Its name is Henrik Fisker eMotion which comes with the most modern technology. This vehicle will pose a serious competition for Tesla! Let us have a look at this stunning vehicle. While designing the body, designers have paid special attention to aerodynamic features. It has a large sloping windshield and an extremely low bonnet. Furthermore, spoiler and diffuser improve the downforce and underbody air flow. The body is built using composites, carbon fiber, and aluminum which reduce the curb weight. As a result, eMotion seamlessly achieves a top speed of 260 km/h. An advanced electric powertrain layout with new battery technology using graphene gives this car an unbelievably long range of 640 km. Nanotech Energy Inc manufactured these batteries. The compact powertrain ensures better interior space especially the leg-room. The human-machine interface in Henrik Fisker eMotion is intuitive and simple. It allows seamless interaction between the driver, car, and surroundings which eventually improves safety. In addition, the company has decided to change the "uni-body and uni-material" philosophy to "right material in the right place for right reason" philosophy. This philosophy mainly re-evaluates five different factors such as lightness, aerodynamics, cost, manufacturing complexity and recycling capability of the materials. Apart from this, the refined interiors, a screen with infotainment for all seats and high ergonomic standards set this vehicle ahead of its competitors! Undoubtedly, this car has marked the beginning of a new era in the next generation of electric vehicles! For more information go to the link here. Read on: What is so unique about David brown automotive?